Online Security Guard Training in Ontario. Start a new career in the security guard industry. Our online security guard training course is well designed and easy to follow step by step instruction. The online instructors are always available by phone or email in case you need some support. We offer 100% guarantee to pass the Ministry exam. Avoid commuting, traffic congestion, parking costs and learn from the comfort of your own home. 1. 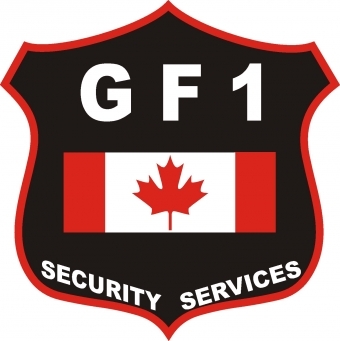 PURCHASE THE COURSE: At WWW.GF1SECURITYSERVICESINC.COM. The automated system will send you an email with a link to download the course content. An Instructor will be assigned to you and he will be your instructor for the duration of the course. 1 # Introduction to the security industry. 2 # The act and the Ministry code of conduct. 3 # Basic security guard procedures. 5 # Health and safety. 6 # Emergency response preparation. 7 # The Canadian legal system. 11 # Use of force theory. 12 # Emergency first aid . WE ARE APPROVED TRAINING ENTITY BY THE MINISTRY OF COMMUNITY SAFETY AND CORRECTIONAL SERVICES. ALL COURSES ARE MINISTRY APPROVED.